Posted June 19, 2017 by jonathan & filed under News. The first word that comes to mind is gratitude. I’m thankful for the legacy leaders that believed in me and provided opportunities to learn, grow, make mistakes, celebrate my victories and share their many gifts with me in the most generous of ways. These legacy leaders include: Henry Hirsch, Dorothy Long, George Lane, Gerald Blonder, Vic Maslia, Bob Love, Jerry Wilkinson, Rob Johnston, Phil Carlock, Bill Hamilton, and Jerry Warshaw. I often referred to them as the “mighty men of ten plus an angel.” I always say, I’m in the “room” because of their investment in my life at a time when I was most impressionable and eager to excel. The second word that comes to mind is relationships. No one finds success alone! When I’m speaking to groups on the advantages of being in the apartment industry, I’m always emphasizing the importance of building trust with others because that is the foundation of which business and friendship is built. This industry is defined by the power of solid relationships. Twenty years passes quickly and not only have I grown as a person, but I’ve grown as a leader. Bill Hamilton instilled in me, “if you are not growing, you’re dying.” As much as anything, I’ve learned that people don’t make it up the mountain at the same time, along the same path or at the same pace. I’ve probably grown most in the area of acceptance. As a perfectionist and a first-born, I’ve often set unrealistic expectations on myself and others. 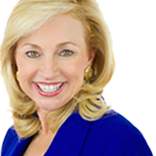 Another legacy leader once said, “Debbie, your greatest strength, can also be your greatest weakness.” This is so true! My mother was a Home Economics teacher and she used to say, “Deborah Ann (always using my formal name during a serious conversation), let it marinate!” She always taught by example and used a lot of analogies. She once quipped, “Don’t live your life in microwave style, be gourmet.” In other words, don’t rush, don’t fret and don’t apologize for being who you are. As there are benefits to being driven and focused, there is NO substitute for being gentle and kind! This brings me to my closing thoughts on business. There are so many favorite scriptures and adages that frame my everyday life and speak to my very core, but there are three that are ever present. First, “ye shall know them by their fruits (Matthew 7:16). Essentially, your personal “brand” will be defined by what you produce, who YOU are as a person and what you put out in the universe. Second, according to Paul the Apostle (Galatians 3:23), the fruits of the spirit are love, joy, peace, forbearance, kindness, goodness, faithfulness, gentleness and self-control. This alone is enough content for an entire series on leadership! Finally, “above all else, guard your heart, for everything you do flows from it.” (Proverbs 4:23). When I see great leaders and great work, I see a healthy heart and a person that is using his/her genius zone. When I see weak leaders or substandard work, I see a weak heart and someone that is out of alignment. People often give me a strange look when I tell them that I love them and what an impact they have made on my life. I’ve learned to cherish the moments, even the discontentment at times for there are rich lessons in everything. 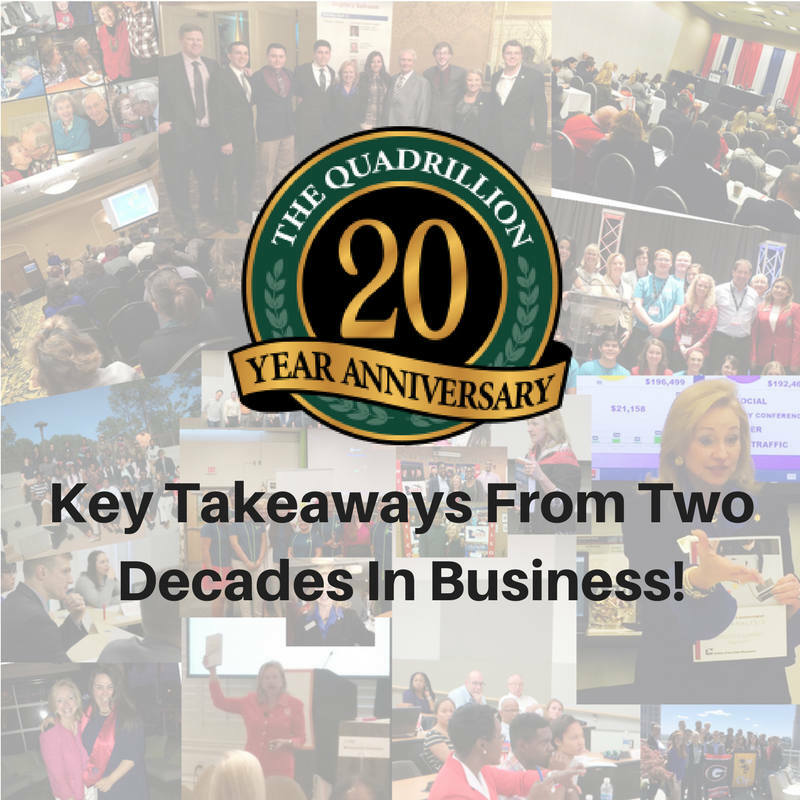 I learned to let my work reflect what’s in my heart and after twenty years in business, I’ve watched my heart expand and it has allowed me a “quadrillion” opportunities to learn, to serve, to honor God and offer my gifts in order to help others grow. Please connect with me on any of your favorite social channels!